Obituary for Toni Turpin | Langeland Family Funeral Homes, Inc.
On Sunday, February 10th, 2019, Toni passed away peacefully at the age of 73 in her home surrounded by family and friends. Beloved Toni was born on June 29th, 1945 in Kalamazoo, Michigan to the late Harold Victor Taylor and Madge (Whaling) Taylor. She was the second child of eleven children. Toni was proceeded in death by her mother, father and brothers, El Victor, Hector and Val. 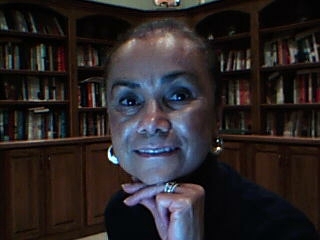 Toni was educated in the Kalamazoo Public School system and graduated from Kalamazoo Central High School in 1963. After high school Toni went on to work for Jacobson's Department store where she developed a keen sense and love for fashion. Later she worked at Upjohn Pharmaceutical Company where she would meet her husband who would eventually take her to Northwest Indiana. After moving to Northwest Indiana, she attended Purdue University Calumet in Hammond, Indiana where she received an Associate Degree in Nursing. She then became a registered nurse and provided great care to many patients for over 35 years. She was united in marriage to Walter Turpin on March 7th, 1970 in Crown Point, Indiana. Toni is survived by her husband Walter Turpin and children Dominic (Charlene) Turpin, Travora Turpin and Kyra (Isreal) Moses; six grandchildren: Armon Turpin, Tristan Turpin, Trevor Turpin, Isreal Moses, Laila Moses and Harper Moses; Two sisters: Mildred Taylor-Burch, Anita Taylor and four brothers: Vincent Taylor, Tico Taylor, Darrell Taylor and Orlando Taylor and many nieces and nephews. Toni cherished her family and is highly regarded by her loved ones. Toni enjoyed spending time with her grandchildren whom she loved dearly and they loved her. Family will receive friends Saturday, February 16 from 2-3:00PM at Langeland Family Funeral Homes, Westside Chapel, 3926 S. 9th Street, Kalamazoo, MI 49009, where a memorial service will be held at 3:00PM.